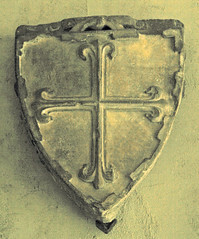 Shield from late 13th or early 14th century France. The Cloisters Museum, Fort Tryon Park, Manhattan. A branch of the Metropolitan Museum of Art.